I know what you're thinking...how dare you put "writing" and "fun" in the title together?! Writing is tough for so many kids, especially our students with special needs. However - we still need to get it done! Many of my kiddos are still working on writing their letters and numbers and get easily frustrated. A few weeks ago, my deaf education specialist came in with this cute game. Lucky for me, she trusts me enough to leave it with me to work on letter writing with it! I like to use this 1:1 with my students, but it is really meant to be a game that you can play with 1-4 students at a time! Each student get their own "popper" that has letters on all sides. 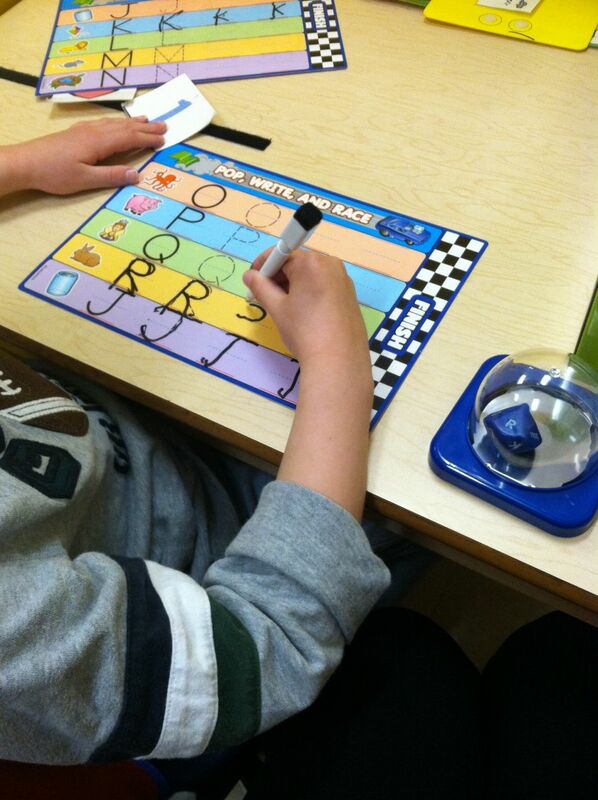 Once they pop a letter, they find that letter on their card and practice writing it. It's really cute and my students LOVED popping the dice and finding their letter! Do you have any fun or interesting ways that you incorporate writing with your kiddos?